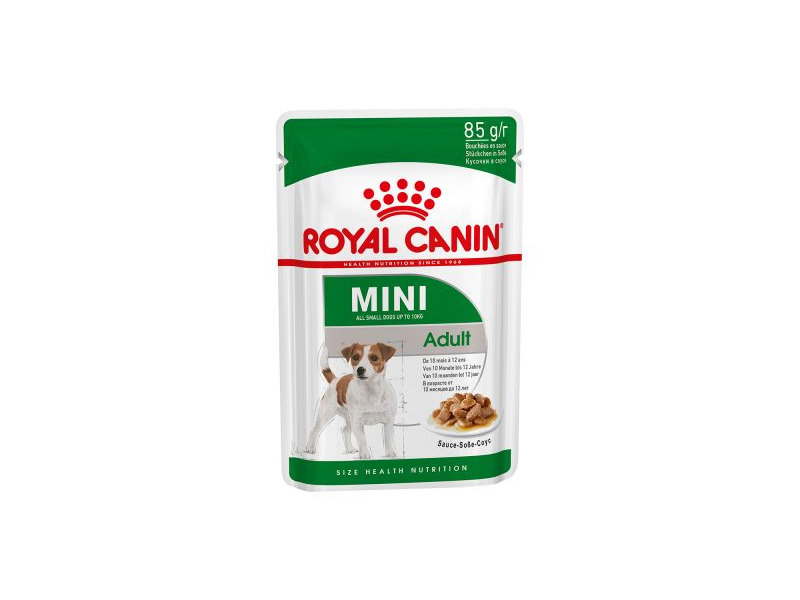 Royal Canin Mini Adult is a complete food for miniature breed adult dogs, weighing 1-10kg at maturity. The diet contains a specially formulated recipe of ingredients to cater to the specific needs of mini breeds. These include L-carnitin, for the maintenance of appropriate body mass, sulphur, amino acids and omega fatty acids for promoting a glossy coat and reinforcing the skin. The recipe is palatable with a delicious blend of natural flavours and is highly digestible to suit even the fussiest canine appetites. Suitable for miniature breed adult dogs between the age of 10 months and 8 years old. Enhanced Palatability - Satisfies the fussy appetite of small breed dogs by means of its formulation and a selection of exclusive flavourings. Coat Condition - This formula contains nutrients that help support a healthy skin and coat. Enriched with EPA-DHA. Vitamin A: 22500 IU, Vitamin D3: 1000 IU, E1 (Iron): 42 mg, E2 (Iodine): 4.2 mg, E4 (Copper): 13 mg, E5 (Manganese): 55 mg, E6 (Zinc): 164 mg, E8 (Selenium): 0.11 mg, L-carnitine: 50 mg - Preservatives - Antioxidants. Protein: 27% - Fat content: 16% - Crude ash: 5.6% - Crude fiber: 1.3% - Per kg: pentasodium triphosphate: 3.5 g - EPA and DHA: 2.5 g.
There are currently no questions for Royal Canin Size Health Nutrition Mini Adult Dog Food - be the first to ask one!